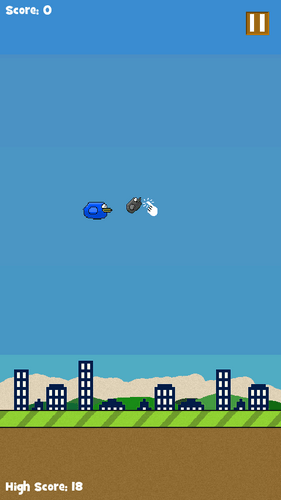 In light of what has become 2014’s first phenomenon, I’m announcing my entry into the #FlappyJam, the games jam in tribute to Flappy Bird, and protest from the backlash it has gotten from being taken down. 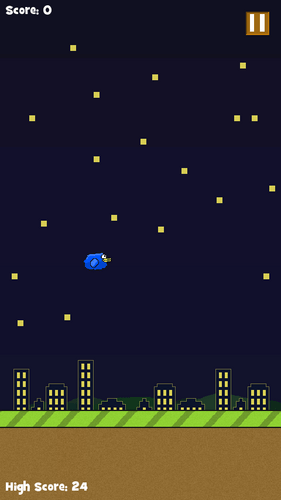 While it took me as long to make as the original game (less than three days), the story surrounding Flappy Bird made me unsure about whether I should put it up online or not. 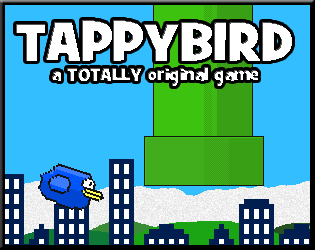 This game is Tappy Bird. Go here to download and play.